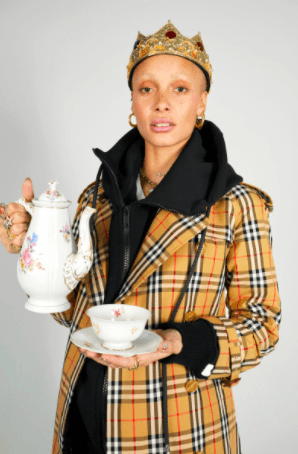 Burberry have revealed the latest images from a series photographed by Juergen Teller in collaboration with Adwoa Aboah. Shot in New York, the images depict candid moments between the British model (and all round queen) and her close friends and family. Featuring Jean Campbell, Oli Green, Adwoa’s sister and artist Kesewa Aboah, photographer, filmmaker and writer Jonah Freud, and Riccardo Ambrosio, the cast are captured in Manhattan’s Bowery neighbourhood. The series drops in conjunction with the launch of Burberry’s new summer collection, which includes classic pieces disrupted with defaced checks on trench and car coats, dresses and shirts. British landmarks and postcard prints decorate jackets, shirts and sweaters, while tulle and lace are layered with mohair and jersey.